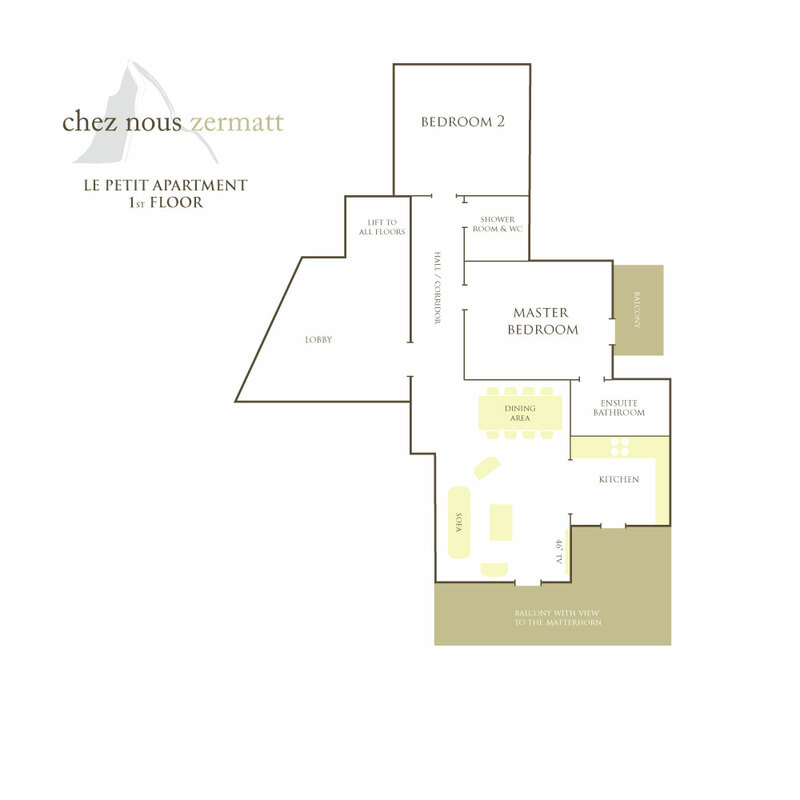 Le Petit is a very pretty, spacious, 2 bedroom 2 bathroom apartment on the 1st floor. It is perfect for 4 people (and you can put 3 children in to the second bedroom so that it sleeps 5). Great care has been taken to create a truly welcoming atmosphere: the sitting room/dining room has a kitchen off it and a large wrap-around balcony that faces out to the field with the lovely old Swiss stadels in the foreground and the Matterhorn presiding in the background. The dining area comfortably seats 4-6 people so you can enjoy meals at home and then in the evenings (or on bad weather days) you can get cosy in front of the 45″ home cinema system (with UK channels and Apple TV) watching a film or reading your book and when it is time to sleep the beds are super-comfortable.